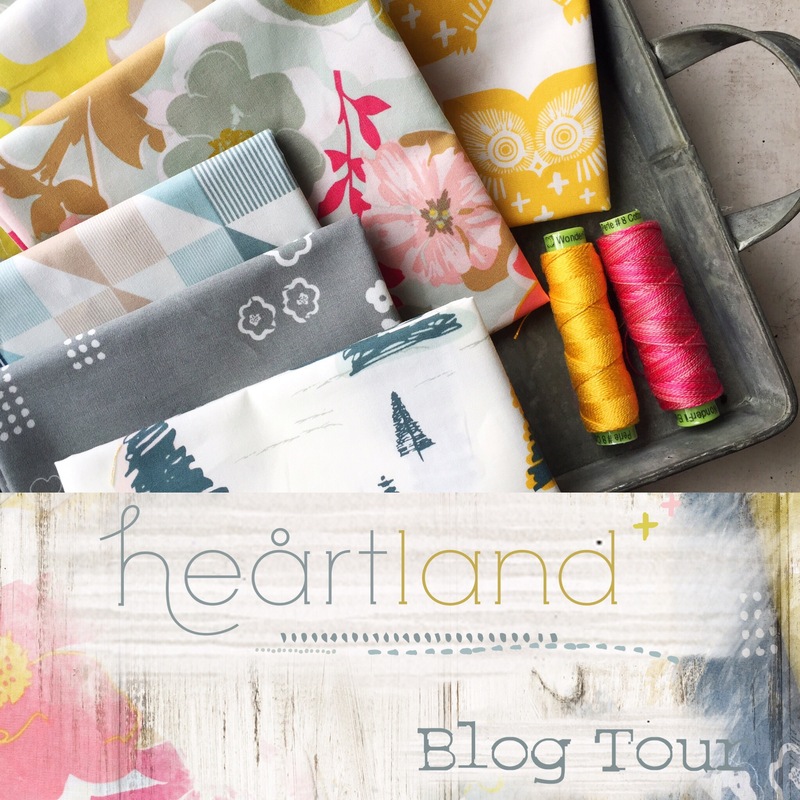 I was asked by Amy Friend of During Quiet Time to join in with a handful of other makers for the Heartland Fabrics Blog Tour. 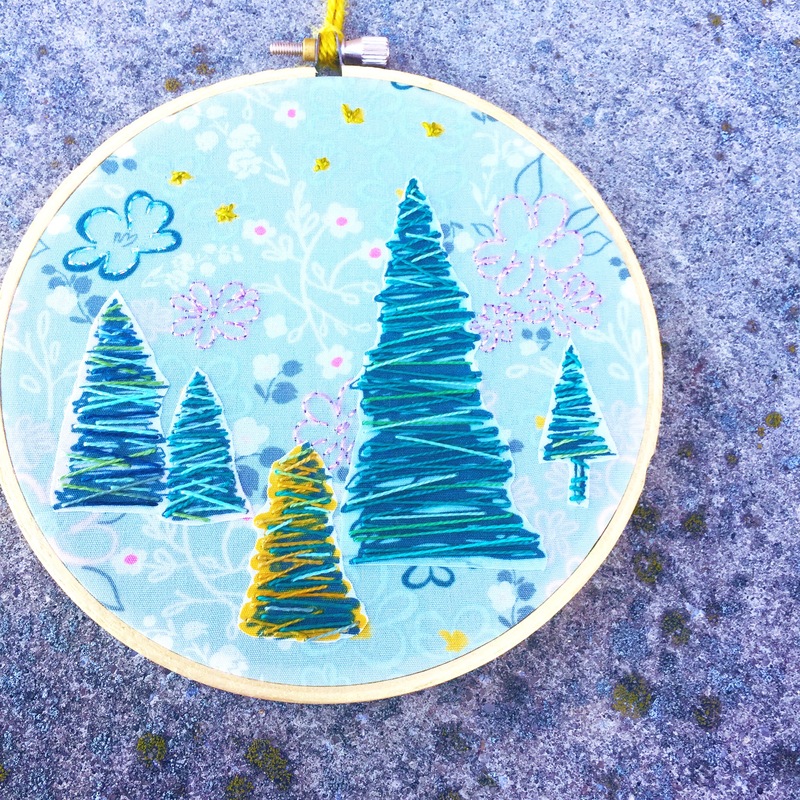 Have you checked out Amy’s Gilmore Girls coffee cup sew along yet? Pause here so you can go check out her character inspired coffee cups! Is anyone else as excited for the Netflix reboot as I am?! 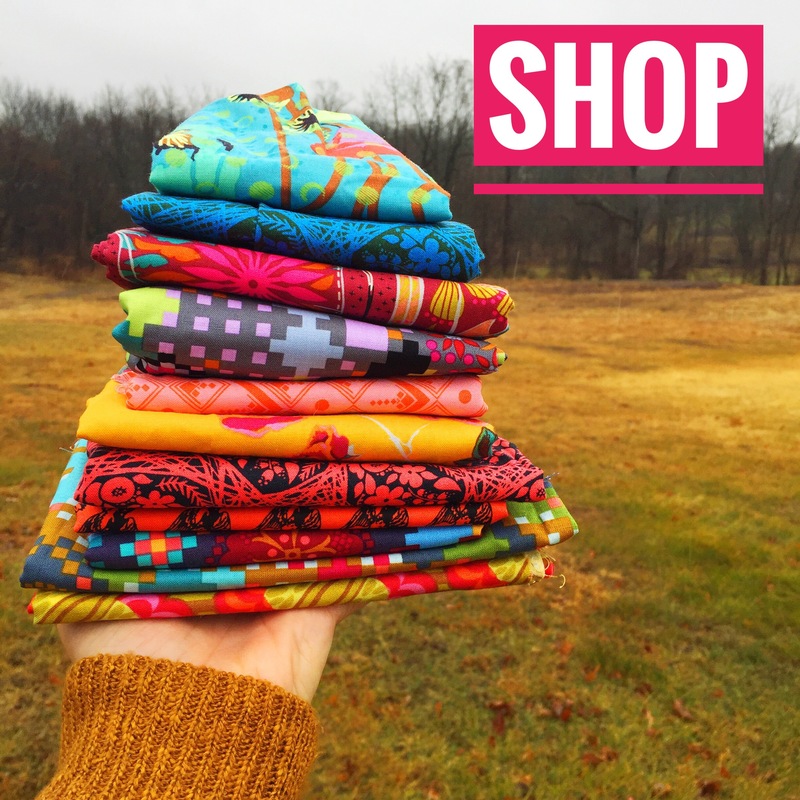 But back to Heartland Fabrics! Designed by Pat Bravo for Art Gallery Fabrics, these fabrics are a muted palette of Scandinavian inspired designs. 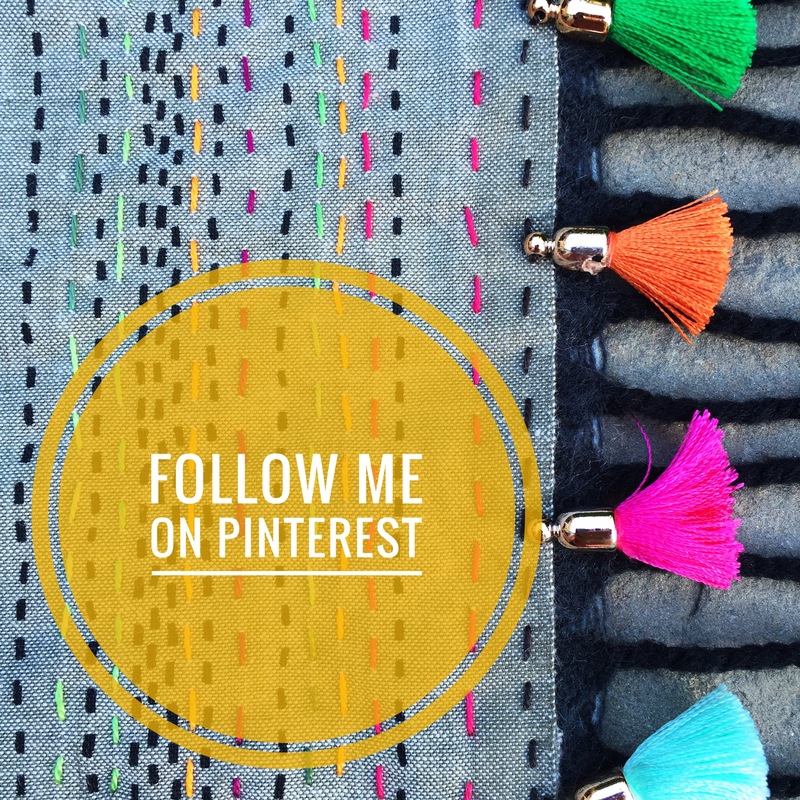 I say muted, because I’m usually all about the color…the more saturated the better! It was a challenge that I welcomed to tone down my usual color palette and work with the palest shades of mint, ivory and pink! 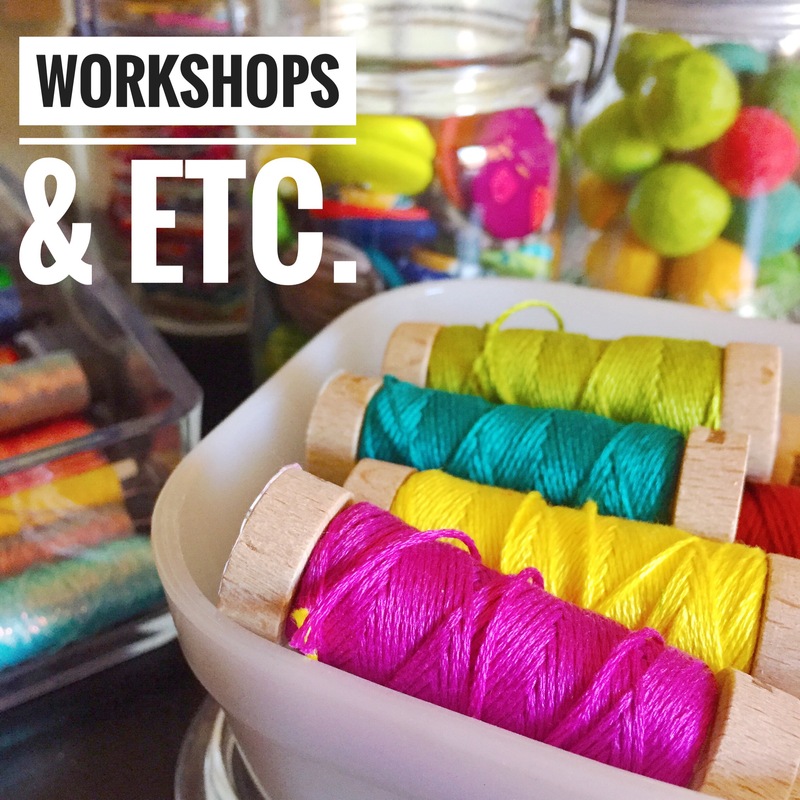 Choosing my threads was easy, having picked up several shades of the newest Eleganza Perle Cotton thread colors at Quilt Market. The newest colors (available very soon!) 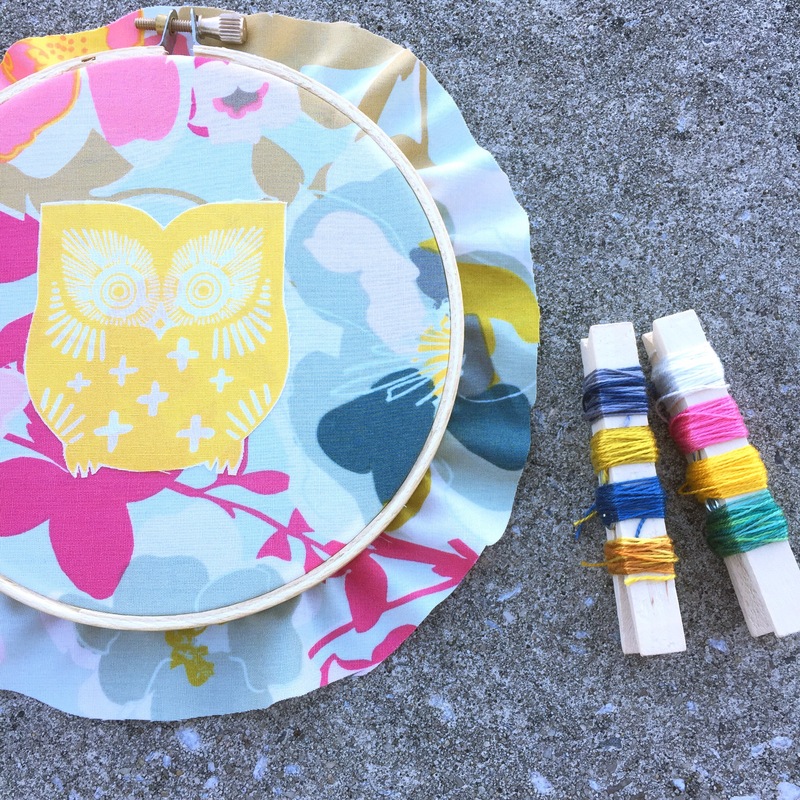 are based on a more primitive color palette and were just the colors I needed for stitching on these Heartland Fabrics. For the delicate bit of sparkle, I used Cosmo Shabon-dama, which I also picked up at Quilt Market. 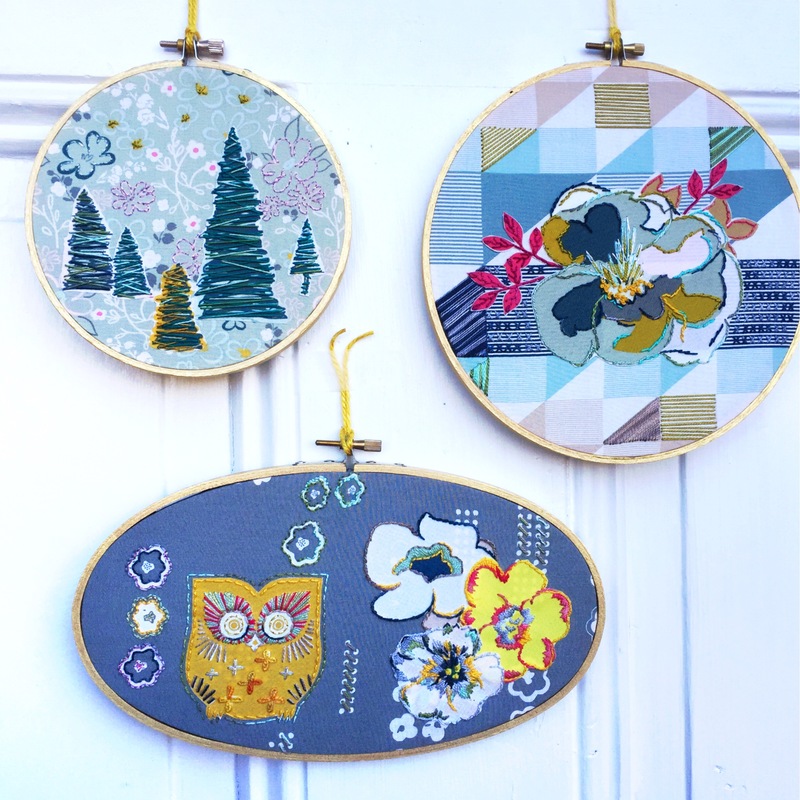 I chose to create a hoop art trio from my fabric selections. 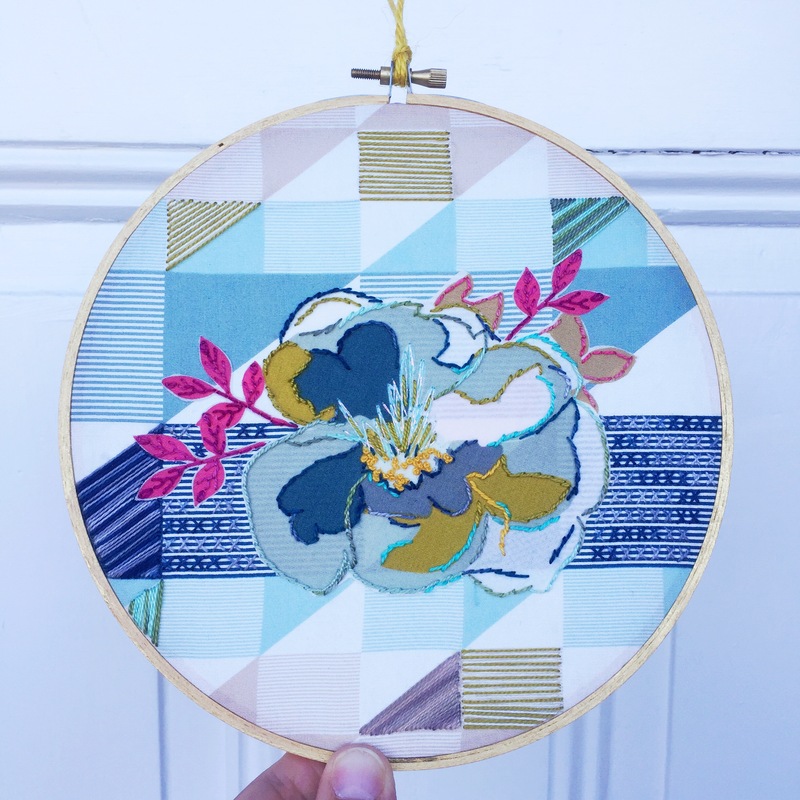 Here is the full list of makers for this blog tour…be sure to check out what they created with this fabric too! 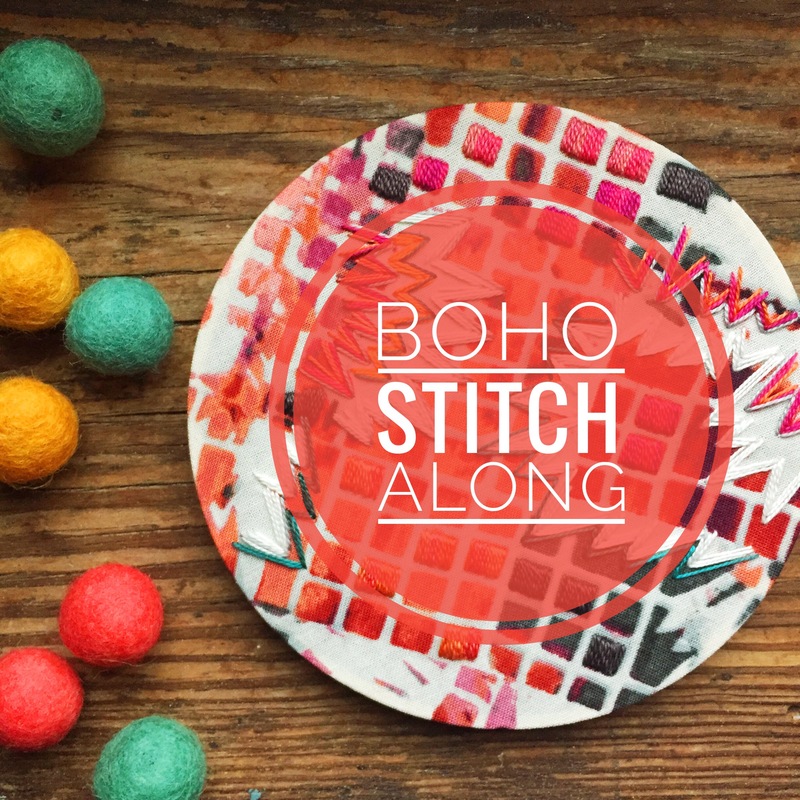 And would you like the chance to stitch a hoop with this gorgeous fabric and thread palette? Leave a comment here for your chance to win! I love your hoops Nichole! The sparkly touch is perfect for the feel that Pat was going for with this collection. 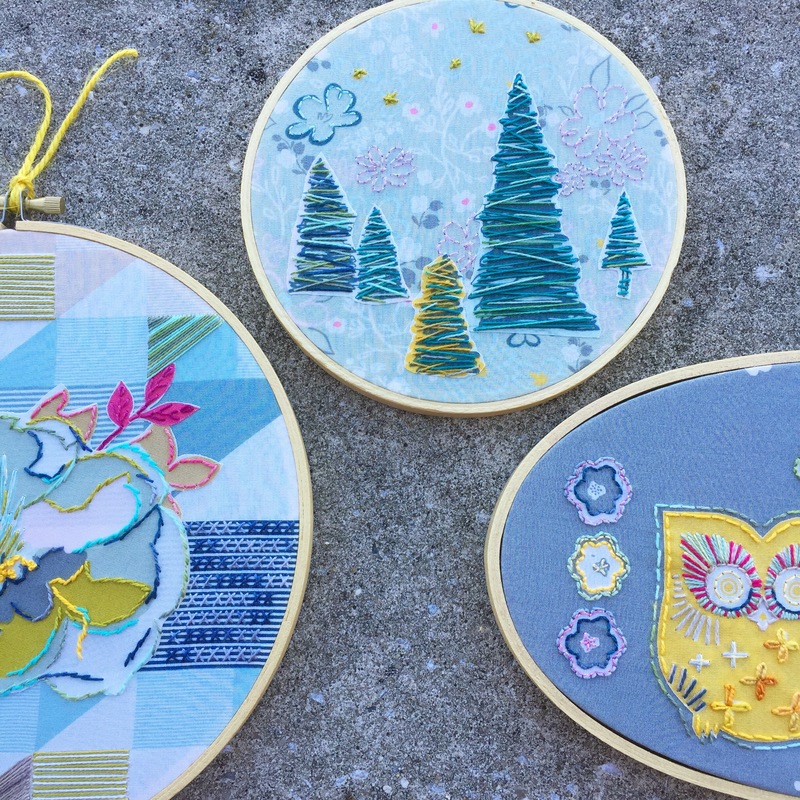 I love your approach to fussy cutting and embroidery additions. I am afraid that I could get very addicted to it! Awesome stitching!!! Love what you did!!! 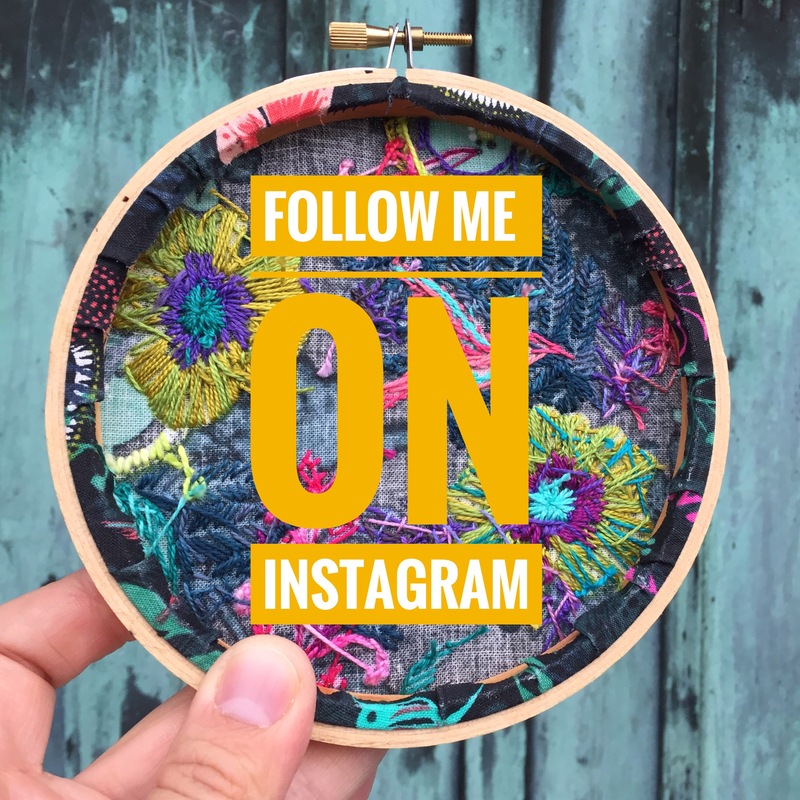 What type of needle do you use and what size (if you know…my needles are kinda jumbled up!!! LOL ) Thanks for sharing!!! Hi Allison! 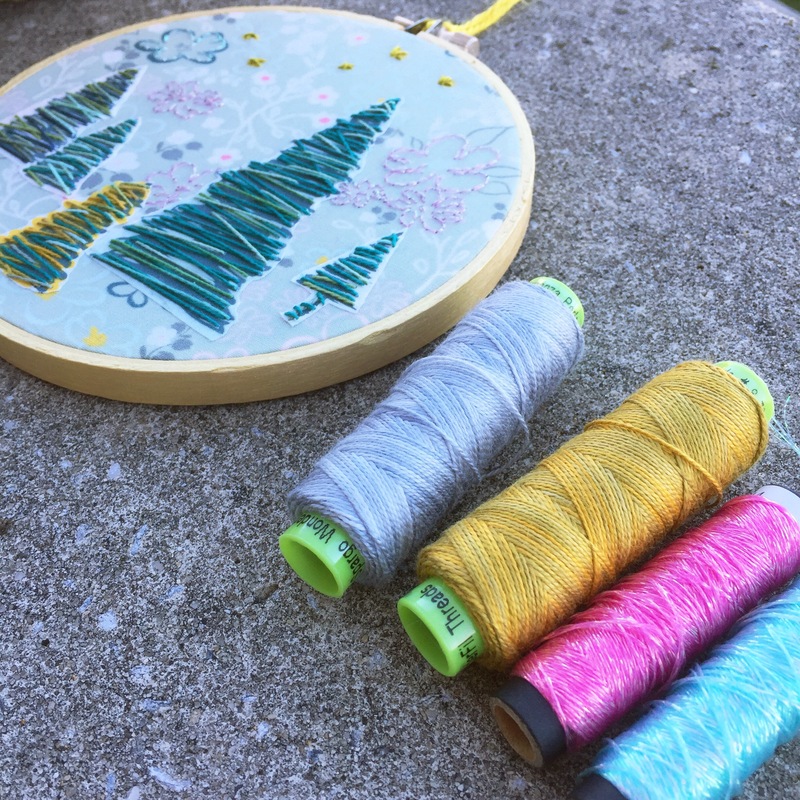 Despite my best intentions, my needles are jumbled too!!! 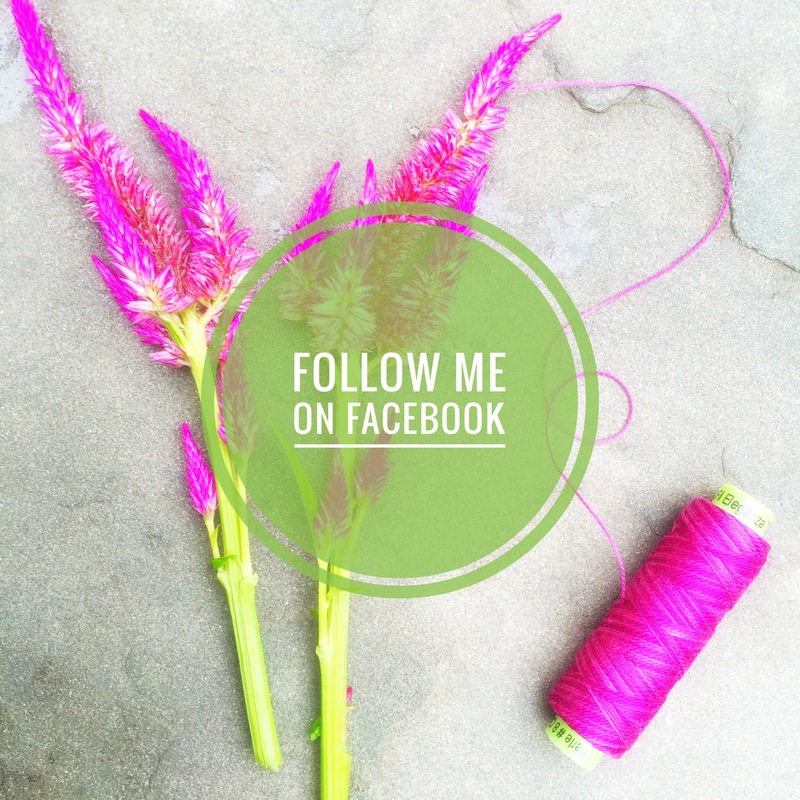 I love long Embroidery needles or milliners needles for almost all of the embroidery that I do! Hope that helps! 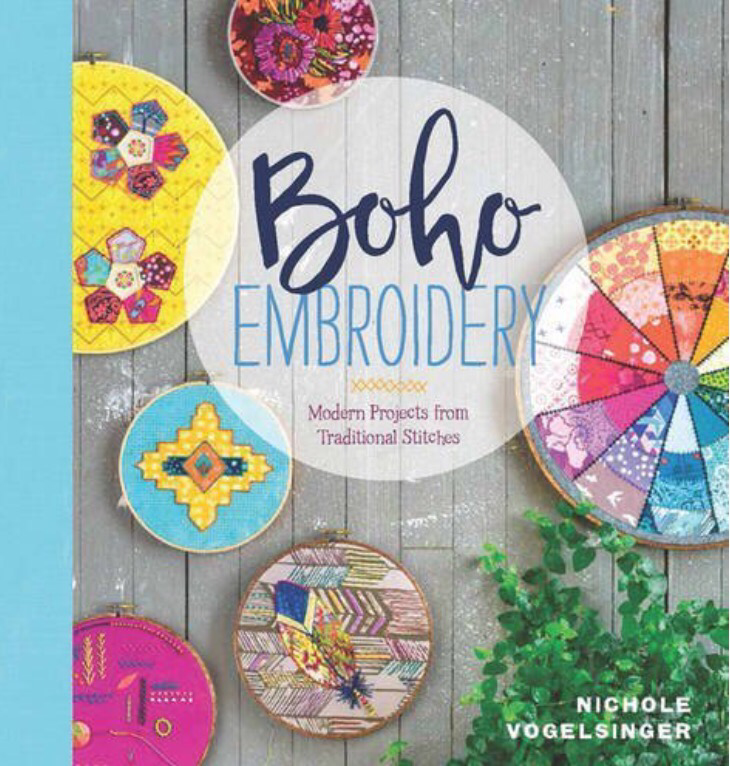 These are beautiful and such an original way to use the beautiful fabric in this collection. These are amazing as usual. Those trees!! Hand-stitching is so therapeutic after a stressful day. 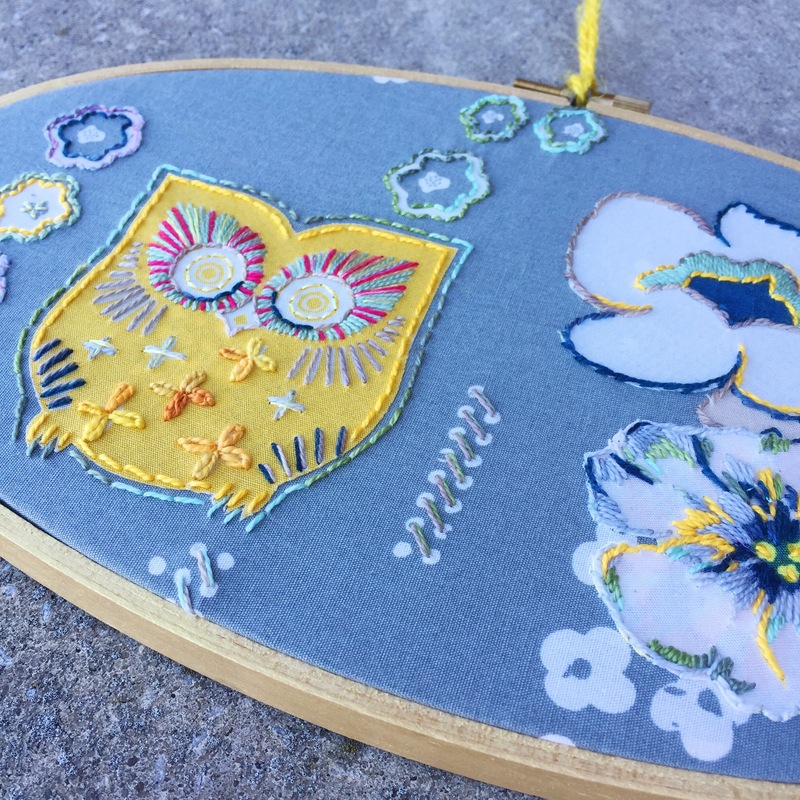 I especially love your stitched owl – those eyes are great! I just love your embellishment of this fabric. Seems like a perfect match of fabric and thread. 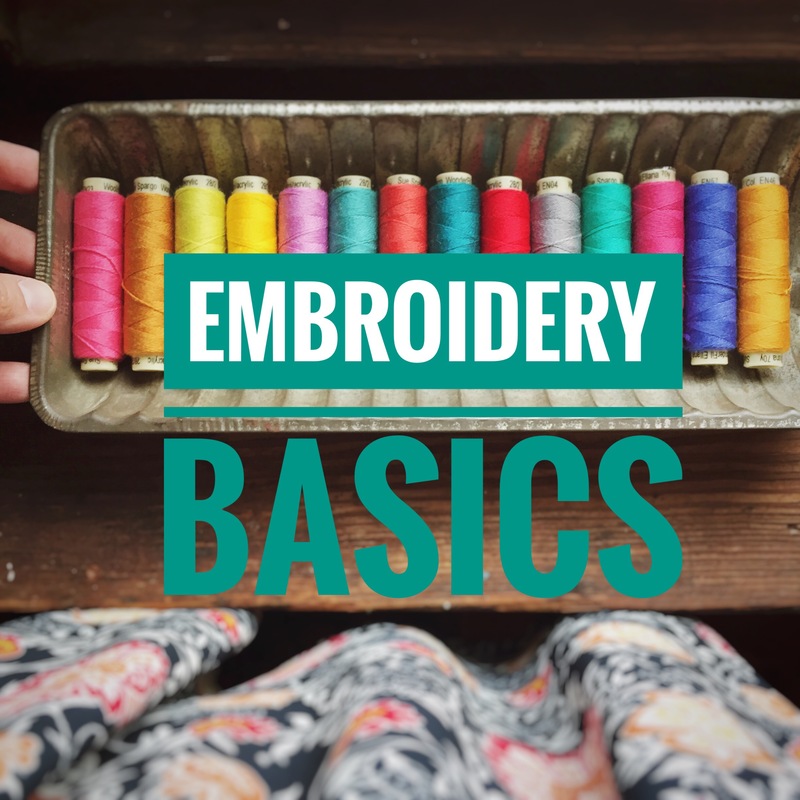 I have been a cross stitcher for many years, but love what you are doing with embroidery on fabrics. 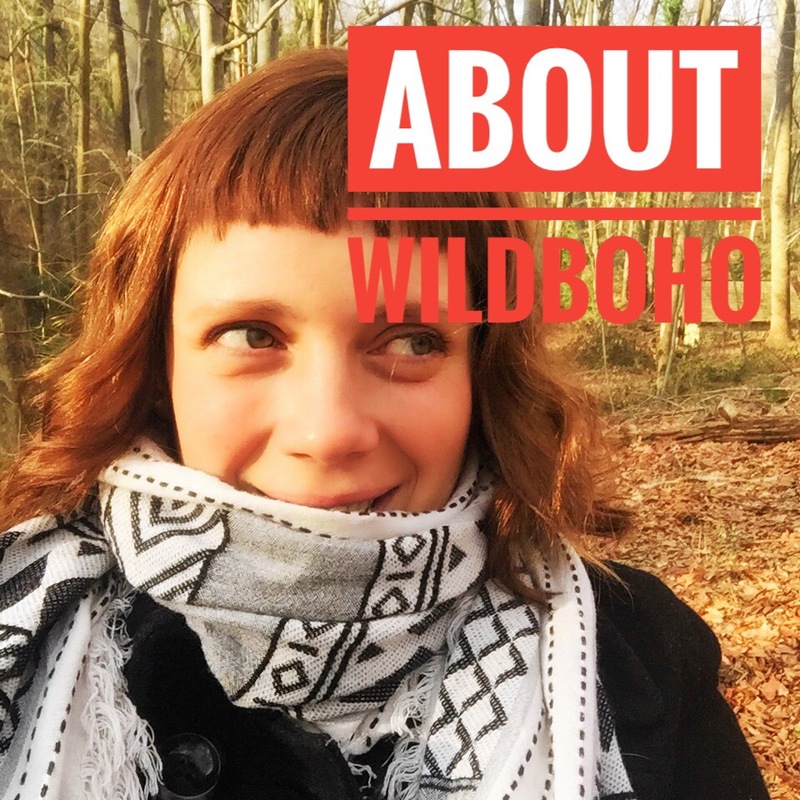 I am itching to try some …. These are lovely!! I just finished a queen sized quilt for my bed using these fabrics and winning this would be such nice all art to go along with my quilt! !